Mom's Gone Bronson! 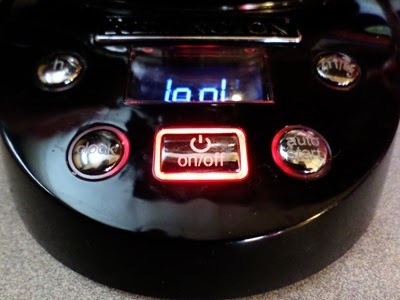 : iCoffee Steam Brew Coffee Maker from Remington - Review! 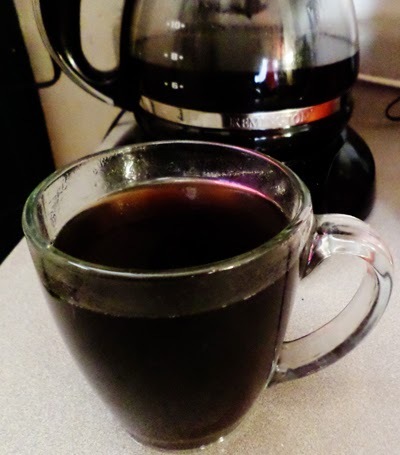 iCoffee Steam Brew Coffee Maker from Remington - Review! I like coffee as much as the next person and a coffee pot is one of those things I like to have on hand for a decent cup of coffee. I do not yet own a single serve coffee machine and my old coffee pot was done for and so when I got the chance to try out the iCoffee Maker from Remington, with Steam Brew technology, I jumped at it! First of all, the "i" is "innovation" and this coffee maker is certainly innovative! With its 6 rotational water jets it steams and stirs your coffee into a rich, silky-smooth coffee with little to no bitter after taste, to boot! The iCoffee Maker is shapely and modern and sits neatly and sturdily on your counter top and aside from looking pretty in your kitchen it also makes you a decent brew! 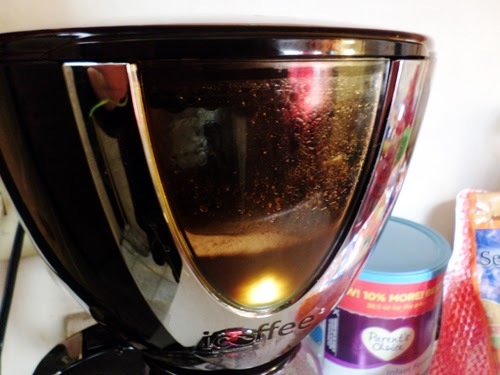 The lid pops open jut like a regular machine but inside is a small compartment that lifts out in which you place your coffee grounds before clipping it back in place and filling the surrounding reservoir with water - up to 12 cups! Once you've set your clock, which is easy as pie, you can set the time to start your coffee in the morning or on return from work in the evening or whatever suits your fancy OR you could hit the on button and start it right away - at which point it will play you a little Mozart and you're ready to go! I love that the coffee machine will tell you if there is a problem with the lid or the container inside or if you haven't put in any water (I am forgetful sometimes!) and you can turn on (or off) the musical start if you'd like it one way or another. You can watch as the coffee is brewed in front of your eyes, and in no time handed back to you via your hot coffee pot in a state of smooth, coffee goodness that I am hopeful that you will love! A bonus of the iCoffee Machine is the extra filter that can be placed into the coffee pot itself, which allows for a secondary filtering of sediment produced by the steam process, and kept out of your coffee pot all together. I tried this coffee maker with my regular coffee so I could see if there actually was a difference in taste and I have to say that I do think the coffee was a little smoother and a little less bitter, and I certainly enjoyed it. I used the exact same measurements for the coffee in this machine as I did in my last and in comparison the strength was on par as to how I lie it and the richness was evident. I neither lost, nor gained any strength nor weakness and so the cups were comparable in my opinion. The iCoffee Maker claims to make you a cup of coffee with easy one button operation with a pause function so that you might grab yourself a cup mid-brew if you can't wait for the pot to fill. There are no need for paper filters as this comes with the reusable pod and so in the long run will save you money in that area, too! I had wondered what the point of this machine was at first as I just couldn't think that a difference in coffee would be all that big but it actually does seem to produce a coffee that I enjoyed without that bitter twang! To see if it was just me or if I was thinking too much into it, I asked a friend to test out a cup, too and they also did see a difference, claiming that it seemed like a good, clean, cup of coffee and actually managed to pick out the cup of coffee that had been brewed with this compared to the one that was not! 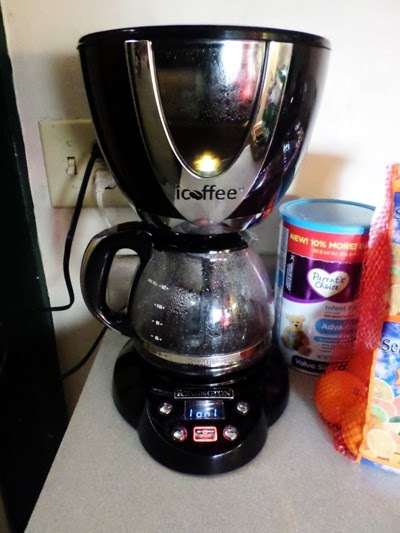 I am thrilled with the iCoffee Steam Brew Coffee Maker and have reawakened my love of coffee! Decaffeinated it is for me, these days, though, but all the same a good cup of coffee is what I want and that is what I get! I am very pleased with this machine! To find out more about the iCoffee Steam Brew Coffee Maker, from Remington, why not head on over HERE to their website for an in-depth look! You may also find them on Facebook and Twitter, too! Disclaimer: I was sent product in order to complete this review. All opinions are 100% honest and my own. Your views may differ. Thank you!